Did you know that the Battle Creek area receives dozens of inches of rain/snowfall each year? With so much precipitation water damage is a growing concern among homeowners in this area. Basement water damage can cause thousands of dollars in damage, not to mention the frustration and stress that inevitably follow. 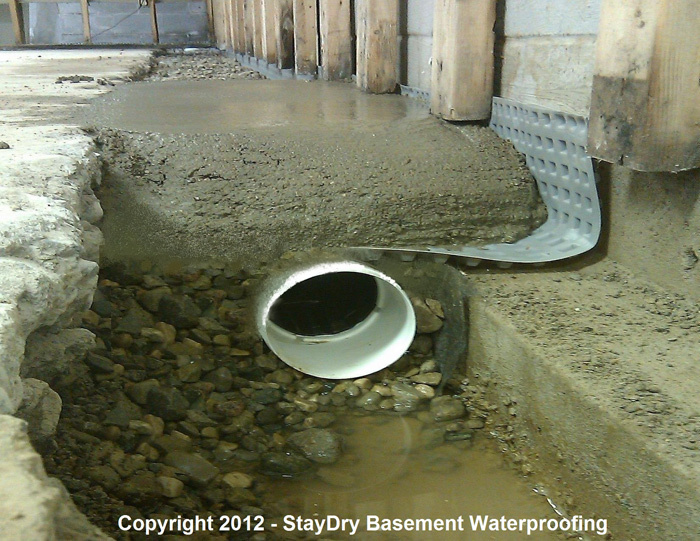 Basement waterproofing is becoming an investment in your home that shouldn’t be overlooked. 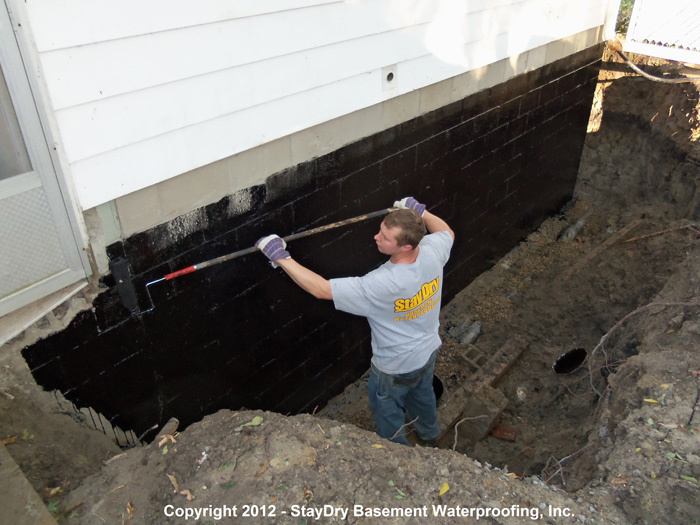 At StayDry, we specialize in: interior and exterior basement waterproofing, crack injection repair, foundation and crawl space repair, mold control along with many other services. As the leading basement waterproofing company in Michigan, we are so sure that you’ll love our work that we offer a satisfaction guarantee on almost every service we provide. Call our Battle Creek office at 1-800-STAY-DRY today for your obligation-free consultation! Cereal City, otherwise known as Battle Creek, Michigan, has a history of flooding. This is not uncommon in Michigan since the state is bordered by three of the Great Lakes: Huron, Michigan, and Erie. With the risk of flooding comes an increased possibility of the adverse effects associated with water damage. Mold and mildew grow in damp, wet, and dark areas, making a flooded basement a haven for these health dangers. Structural damage can also be caused by water damage. To prevent these dangers you should be sure to have your Battle Creek basement waterproofed before it floods next. Much like the rest of Michigan, Battle Creek has a continental climate that is extremely humid. While the city receives its fair share of snow during the cold winter months, the majority of the precipitation comes in the summer. With moisture accumulating year-round, Battle Creek homes are often put at risk for flooding and water damage. To prevent this from happening to your home, we recommend having your basement waterproofed by the experts here at StayDry. 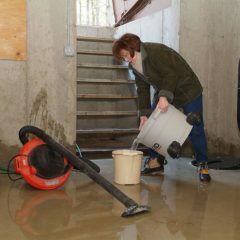 Sump Pumps: If you have water seeping into your basement often, a sump pump can collect it and pump it out away from your home. 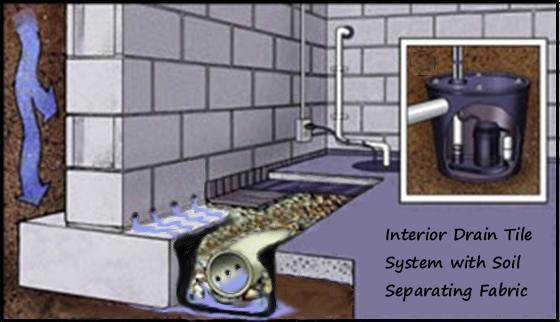 French Drain Systems: One of our most popular services is the French drain system. Much like the sump pump, a French drain system collects water and moves it away from your home. You can even connect it to a sump pump for greater efficiency. 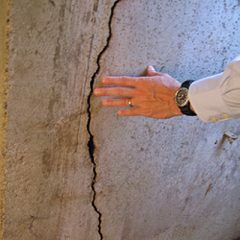 Crack Injection: Foundation cracks can be a sign of structural concern and also a way for water to work its way into the home. We can fill these cracks easily. My wife and I are buying a home that has water in the basement. It was built in 1933 and has been a rental for a while. The house is empty and we want to get a quote for repairs. We are located in Battle Creek, MI. I see water seeping through my basement wall where the septic pipe goes out and there is a small sink hole next to the foundation on the outside at about the same location. We have a crack in the poured concrete foundation basement wall that leaks when it rains. Also have leakage around our well pipe. Concrete block walls in an unfinished basement (1955 construction) have signs of efflorescence and one wall has small leaks that weep into the basement in recent rain. I would like to meet with someone to review the conditions and discuss exterior and interior treatment options. Cereal City, otherwise known as Battle Creek, Michigan, has a history of flooding. This is not uncommon in Michigan since the state is bordered by three of the Great Lakes: Huron, Michigan, and Erie. Unfortunately, excessive water can be dangerous to your home. With the risk of flooding comes an increased possibility of the adverse effects associated with water damage. Mold and mildew grow in damp, wet, and dark areas, making a flooded basement a haven for these health dangers. Structural damage can also be caused by standing water. Water can come into your home in many different ways. It can come over the top of basement walls, through cracks and tie rod holes, and through leaky pipes or drains. 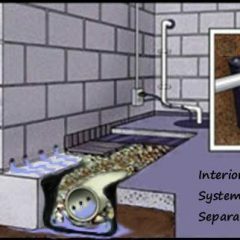 When there is too much water outside of your home for your drain systems to handle, it can’t find itself running away from the home, so it runs into your home through waterlogged concrete, overflowing drains, or even from rising groundwater. No matter the cause, water in the basement is extremely dangerous to your home and even your health. 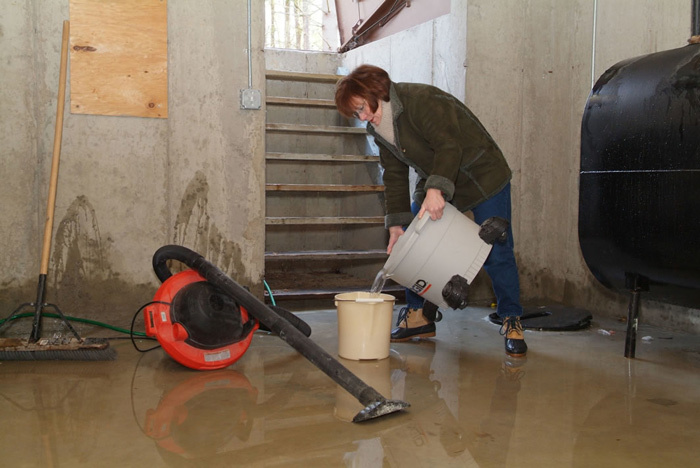 The best way to handle water in your basement is by calling a StayDry expert. 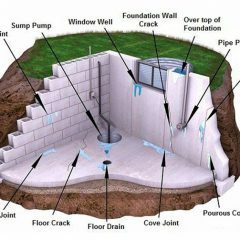 We can handle all of the problems that you can throw at us by repairing foundations by filling cracks or patching leaks, waterproofing to prevent any problems in the future, or installing drainage systems to keep pressure off of your walls by keeping water away in the first place. 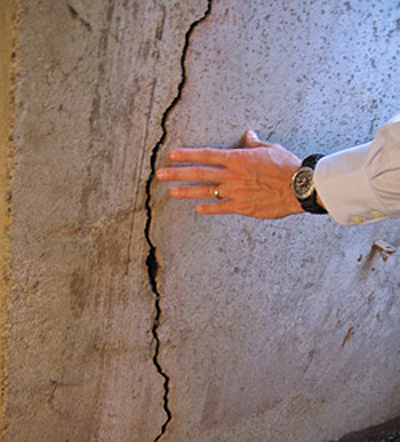 When water or stress has damaged the foundation of your home, we also have services to help reverse this damage. We offer foundational repair, when a simple crack injection just won’t do the job. We can also straighten walls, brace walls and ceilings with steel brace reinforcements, and do fortress stabilization. We can also do as much as replacing an entire basement wall. 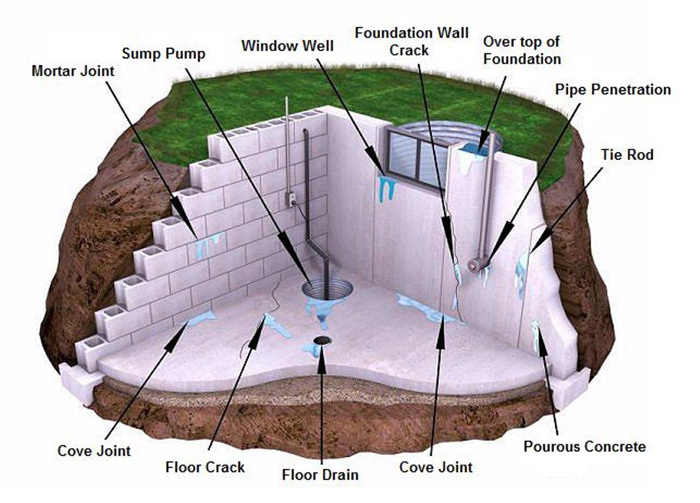 Crack injection is one of our most common solutions for waterproofing. We inject a polyurethane solution into the space to keep water out and prevent widening of the crack. 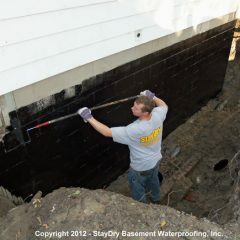 Waterproof Your Battle Creek Basement Today! As you can see, basement floods are a serious matter. As with most parts of Michigan, Battle Creek is quite prone to these damaging effects. When it comes down to it, preventing water damage will always be cheaper than repairing it, so it’s essential you protect your basement, and therefore your home, from flooding. Fortunately, StayDry is well versed in all things waterproofing, so we can ensure your Battle Creek home is out of harm’s way. Best of all, all of our interior basement waterproofing systems are backed by our fully transferable lifetime warranty. 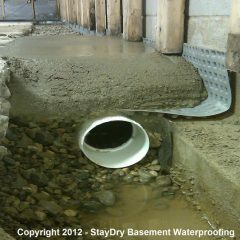 With this, you can rest assured knowing your basement is guaranteed to stand up against basement floods for a lifetime. If you are interested in protecting your Battle Creek home from water damage, we are here to help. You can contact the StayDry heroes here or call us at 800-800-7073 for your free quote! We are open 24/7 to take your call in case of an emergency. Our team of dedicated, highly trained experts are ready and waiting to jump into action for any of your basement waterproofing needs. If you are interested in protecting your Battle Creek home from water damage, we are here to help. You can contact the StayDry heroes here or call us at 800-800-7073 for your free quote!